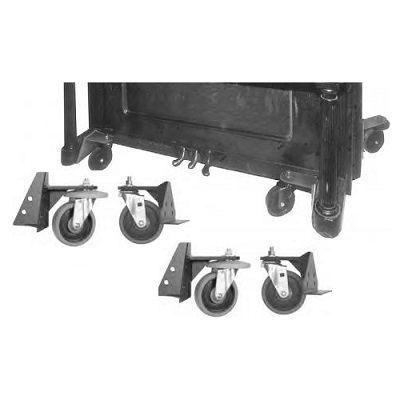 The Schaff 4 piece dolly set is permanently attaches to your upright piano with wood screws. The two back pieces have rubber bumpers (adding only 5" to the piano's width) that prevent wall damage and reduce the problem of narrow doorways.The perfect replacement caster for your upright piano. 5" double ball bearing, swivel casters are used on all units.